Graciano is a red-wine grape originating in the Rioja region of Spain. Spanish wines, like most Old World wines, are typically blends named for the region from which they spring. In Rioja wines, Graciano was usually a small percentage of the blend (though important, contributing structure and aging potential). Of late, its use had been fading, owing to the vines' being quite low yielding. Recently, though, with wider recognition of the grape's ability to produce powerfully aromatic wines of deep color and intense, distinctive flavor that age very well (Oz Clarke's remarks on that notwithstanding), there has been an upsurge of interest, and bottlings that are dominantly Graciano or, not uncommonly, monovarietal have been appearing. Indeed, it is nowadays generally considered one of the dozen and a half or so of world-class red-wine grapes (those in boldface in the varietals list to the left of the page). The vines thrive in warm, arid climates; there is now also some interest in the grape in the Lodi area of California, which seems well suited to it. It is also grown in Australia. Factoid: some say the grape's name derives from the word gracia, meaning "joy" or "grace" (hence gracias); others say that because it is so difficult to grow well, growers offered cuttings habitually replied "No, gracias!" "The wine produced is characterized by its deep red color, strong aroma and ability to age well. Graciano thrives in warm, arid climates." "Typically the wines show deep purple robes with scents of violets, and black fruits, mint, spice and minerals on the palate. 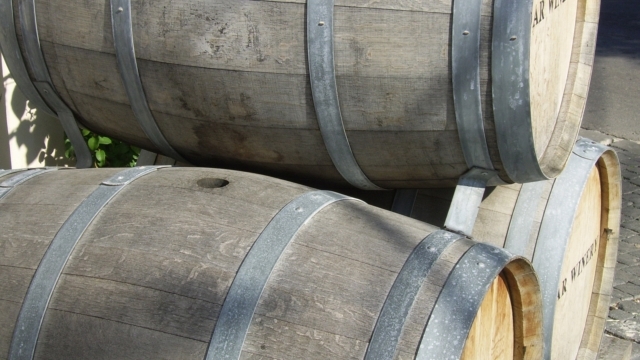 They often show best after a short stint in the cellar and have a good track record for aging. With certain wine critics extolling the virtues of these distinctive wines, an inquisitive wine-drinking public is taking notice. " "[Graciano] produces wines of considerable weight, pigmentation, perfume and quality." "Straight Graciano wines tend to be big, soft and aromatic, sometimes a little too aromatic, but when done well they are very impressive rich wines. "Graciano wines are capable of rich color, a lovely fragrant BOUQUET, a hint of spice in the flavor, and long AGING. The high ACIDITY of the Graciano grape makes it a good candidate for blending with low-acid varieties like TEMPRANILLO." "The flavors of varietal Graciano wine are dark and concentrated, often showing licorice scents with a spicy element. It has high acid and medium tannins, making it an excellent complement to Tempranillo, its old partner. 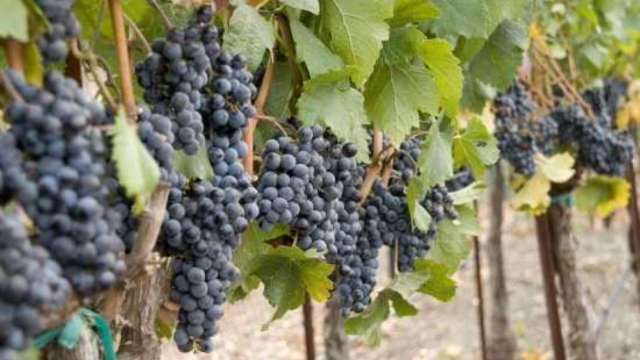 In practical terms it is often compared to Bordeaux’s Petit Verdot, in that Graciano is full of personality yet typically appears in wines only in single-figure percentages." "Graciano is a deep red grape of Spanish origin, mostly grown in the region of Rioja. As a wine, it is aromatic and ages well, but the grape requires a warm, dry climate to thrive." " This type of grape produces deep red wines with high acidity, which when young tend to be very tannic, harsh and rough, but experiencing a great aging development during the wood and bottle phase. Therefore, it is very common to find it in “coupages” with a great variety of Tempranillo wines for wines with an aging process." "Deep dark purple to red, this is a graceful aromatic wine of mulberry, cherry and spice. The palate is fruit rich with a great length of acid and natural fruit sweetness." "'This grape is like Marmite', says Zubia; 'you either love it or hate it.' Good varietal examples show lovely colour, alcohol and acidity, a minty, spicy nose, and a minerality on the palate, balanced by inky dark fruits." Monovarietal Graciano is now easier to find than was the case not so long ago, though good ones at reasonable prices are still not common. Still, there are some bargains to be had if one hunts. 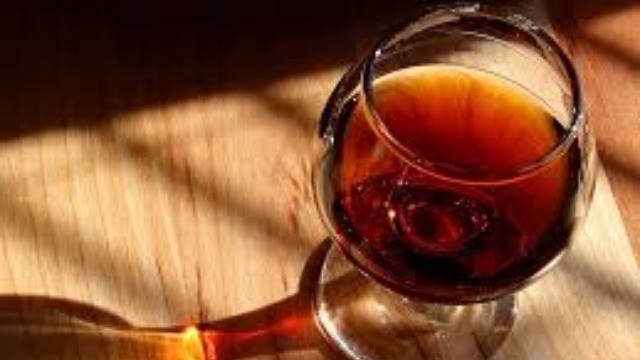 ♦ Inky violet and pleasingly tannic, a glass of this Graciano is like freshly squeezed fruits of the forest. It has good depth and is long lasting in the mouth. Perfectly mouth watering with Spanish cured meats such as Chorizo, Salchicon or even Cecina (cured beef). 10 months in oak gives the wine a good finish and leaves you wanting a second glass! ♦ [Google-translated from Spanish:] In sight: Burgundy red of great luminosity. In nose: Very fruity with spice and balsamic backgrounds. In mouth: Nice fruity touches. Persistent. 89 points. ♦ [Google-translated from Romanian:] It is a ruby ​​wine, intense both in color and smell. The nose emanated from elegant notes of sweet wood and cherries. The mouth comes out of anonymity with its cinnamon shrimps and the humorous vegetable effusions. Tannins are live, fibrous and make this wine a little exercise even after the 5 years spent in the bottle. 85 points. ♦ [It] begins with a really pleasant aroma of blackberry, licorice, cola and a hint of smoke. The aroma is so good you really can't wait to take your first sip (and then your second and third and...) Tasting this lush, delicious wine reminds me a bit of a big, bold Zinfandel. It features similar flavors as the bouquet with tons of rich fruit and some added wild cherry jolly rancher. A really nice spicy streak builds all the way through the long finish which also highlights some lingering smoky notes. Great Graciano, this is good stuff! ♦ Opaque violet color with spicy ripe mixed berry, cola, licorice, and a bit of floral aromas. On the palate, it’s medium bodied and fresh with blackberry, pomegranate, cherry, spice, and mineral flavors. Medium long finish. Rating: A- (90pts): This wine is a way over delivers in terms of quality for the prices. The best thing I can say about it, is that I will buy more! Check it out! ♦ It exhibits slightly riper blackberry fruit intermixed with notions of licorice, wood smoke, camphor and a vivid floral display. ♦ I just love it when I open a bottle and the aromas waft out like a wine genie slithering out to grant your wish. Swirl this bad boy around as scents of ripe blackberry, cherry and pepper notes smack you like a Colonel’s white glove challenging you to a duel. . . This wine is superlative: plush, it’s got bite, it’s got fruit, dreamy nose – it’s the whole damned package. ♦ One of my favorite value reds right now is the Rio Madre Graciano Rioja 2011 (Grade=Outstanding). . . Medium-bodied with loads of red fruits and white spices, it is almost tailor-made for this time of year, revealing hints of peppermint beneath its juicy veneer of red currant paste, roasted red cherries and touches of mulberry pie. 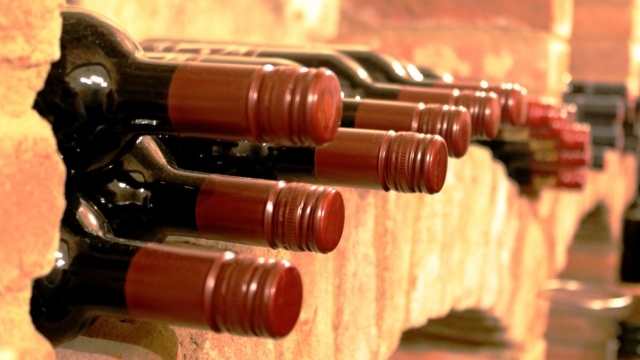 Clocking in under $10, this wine is a steal. ♦ Inky ruby. Spice-accented aromas and flavors of black and blue fruits and cola, with notes of dark chocolate and licorice. Concentrated and powerful on the palate, with a spicy note building with air. Intense licorice, blackcurrant and bitter cherry notes linger on the spicy, youthfully tannic finish. Outstanding value here; there are very few all-graciano Riojas made, and they all cost a lot more than this one. ♦ Blackberry, black currant, and marzipan introduce the aroma with cinnamon raisin bread, hints of prune, dried herbs, and pipe tobacco showing in the background. Rich, dark, and bold, this wine is intensely inky and concentrated. Violets and very dark chocolate show at first on the palate with black stone, dried flower petals, and prunes appearing toward the finish. This is a serious, deep and silky wine with an almost grilled, bitter edge that gives some real personality. If you like… dark, inky wines like Syrah, Petite Sirah, and Petit Verdot this is a very impressive, excellent value (5/5). ♦ [D]eep, saturated purple color; intense aromatics; savory dark fruit flavors; and brooding earthiness. It comes across as plush but not "sappy" or "jammy", as the bright acidity keeps the ripe fruit in perfect balance. This harmonious Spanish red is a terrific value at $10 the bottle. ♦ Fabulous big, juicy intensity of immediate red berry fruits make this hugely attractive for an everyday wine. It’s uncomplicated with all its focus being on fresh fruits; it's well balanced. ♦ Vivid ruby. Bright, spice-accented aromas of cherry and redcurrant, with a deeper licorice note building with air. Youthfully taut red fruit flavors show good depth and pick up spiciness with air. Dusty tannins add grip and shape to the finish, which features notes of bitter cherry and cracked pepper. ♦ [O]ne of those rare wine finds that immediately excites with its explosive fruit, sheer drinkability and refinement. ♦ Brilliant, fruity red, perfect for everyday drinking yet with enough character to keep you interested. ♦ The wine is straight forward, rustic, deep and simple. We had two bottles of this over a few nights and this really shone after a night in the fridge. So next time I would recommend a bit of air and time for the wine to open up. . . I'm not sure I'd go out of my way to track down another one, but this bottle was certainly enjoyable enough. If I had kept one of the two bottles, I would be putting it down for a couple more years to let the tannins do their work. ♦ [F]ully ripe with plenty of silky blackcurrant fruit, but with enough acidity and tannin to keep it fresh and balanced. There don't seem to be any monovarietal Gracianos nontrivially better than the few in the list above.